In a large skillet or saute pan melt the butter substitute over medium heat. Add the shrimp and lemon juice, cook until the shrimp just turn pink. Remove from heat and drain. 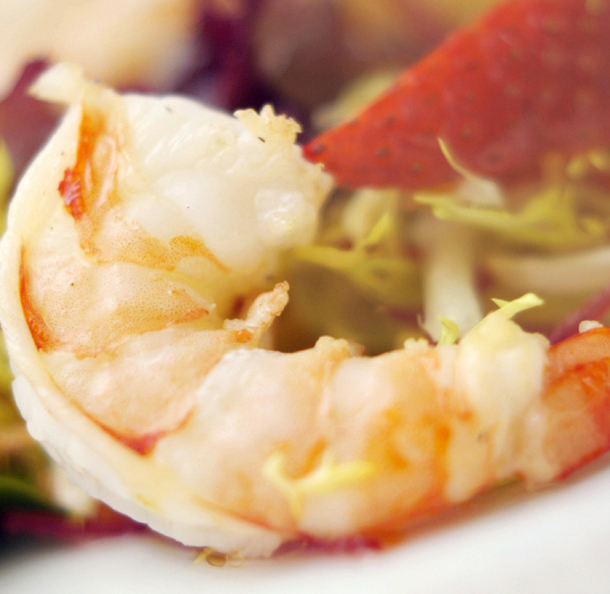 In a large bowl, tear lettuce into bite-size pieces, add tomatoes, celery, cucumber and shrimp, toss to combine. Top with a Metabolic friendly salad dressing. This entry was posted in Entrees, Modified Profast (Fast and Flexible) Recipes, Salad, Seafood, Vegetables and tagged fast, healthy, main dish, Metabolic Medical Center Recipes, modified profast, Salad, shrimp, side dish by foodies4mmc. Bookmark the permalink.